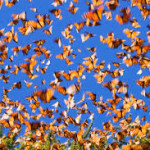 Have you ever been surrounded by thousands of Monarch Butterflies in their natural habitat? 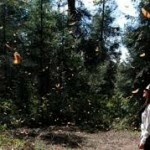 Visit The Monarch Butterfly Sancuary of “El Rosario” with us, the largest sanctuary in the world! 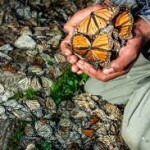 It is a “one of a kind” place in México! Departure: Thursday the 10th. & 24th. at midnight! Return: Monday the 14th. & 28th. at early morning! Departure: Thursday the 14th. at midnight! Return: Monday the 18th. at early morning! It is a 4 day & 4 night trip! * Round trip airfare; Tijuana-Morelia-Tijuana! * 4 night commfortable hotel acommoddation in a XIX Colonial hotel style! 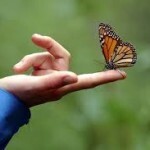 * All day tour to the Monarch Butterfly sanctuary, (entrance fee included)! * Morelia city tour! So many places to see and admire that we cannot describe all of them here! 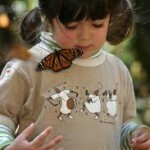 Quiroga; for arts & crafts! Tzintzunzán; one of the most important cities and ceremonial centers of the Purépecha Empire! Janitzio; a beautiful island in the lake of Pátzcuaro, a place where the traditions are still alive on “The Day of The Death” (Día de Muertos celebration)! Boat ride included! Pátzcuaro; visit the “Casa de los Siete Patios” for arts & crafts, Colonial buildings, Churches and Plazas! WE ACCEPT VISA, MASTER CARD, PAYPAL, AMERICAN EXPRESS OR CASH! Remember: small groups always get a better service! !